Japanese military power is ascendant. Japan has roughly four times as many major warships as the British Royal Navy and, despite being an island nation that emphasizes sea and air power, more tanks than Germany. Japan also boasts niche capacities in special operations forces and diesel-electric submarines and is developing new amphibious capabilities with the help of the U.S. Marines. The Japanese Constitution forbids keeping a military except for self-defense. But that constitution may change. And even if it doesn't, don't believe the language in it, for military planners in Tokyo have been working around such language for decades already. The ostensible reason for Japan's military revival, aside from North Korea's oft-cited nuclear weapons and missile programs, is China's maritime territorial encroachments -- particularly in the East China Sea where the two dispute the sovereignty of the Senkaku Islands (called Diaoyu in China). Japan has administered these islands since the United States handed them over in 1972, but in recent years China has pressed its claim as the rightful sovereign. In its latest attempt to alter the status quo, Beijing established an air defense identification zone that encompasses the islands and, in principle, would require foreign aircraft flying in this part of Japan's airspace to report to Chinese air traffic control. Japan has already become accustomed to scrambling jets and dispatching ships in response to flurries of Chinese activity in its own expansive monitoring zones; if China enforces its new zone, confrontations and incidents will become more likely. Yet the real dispute between the world's second- and third-largest economies arises from something far more fundamental than the islands: China's rise as a great power and Japan's geographically rooted fears. China and Japan have a deeply troubled history, from medieval struggles over the Korean Peninsula to Japanese territorial conquest and atrocities committed during World War II. In the post-Cold War environment, China's unleashed potential contrasted sharply with Japan's two decades of paralysis. Today, the totality of Chinese power -- demographic, economic and military -- looms as an existential threat to Japan. But two domestic changes have cleared the way for Tokyo to respond to China more forcefully: the economic slump led to the gradual breakdown of single-party rule, triggering political competition that fostered bolder policy making, and the threefold Tohoku earthquake disaster that shook Japanese society out of neo-feudal stagnation. Whatever Japan's Constitution says, the decades of quasi-pacifism are long gone, and the "active pacifism" proclaimed by the ruling Liberal Democrats amounts to a global declaration of full military normalization. Japan's military reboot follows a regional trend. Unlike in Europe, East Asian countries have not adopted a post-national, defense-averse posture, but instead have sought to burnish arms to defend what wealth and security they gained during this past half-century of independence and exuberant industrialization. Asia has no NATO to join together its various ethnic-based nations in a stabilizing alliance -- ASEAN is far from playing such a role. And Asian states have begun to question the permanence of American military power, which for decades kept the peace through its benign security hegemony. The military rise of China since the mid-1990s and American distractions in other regions disrupted this hegemony. China, with its rapid acquisition and development of surface and sub-surface warships, advanced fighter jets and ballistic missiles near the coastline could make the Middle Kingdom the world's greatest land-based naval power in history by as early as the 2030s, according to some Washington analysts. Whereas the United States requires its sea and air power to be distributed around the globe, China can concentrate its forces in the Pacific and, to a lesser extent, eventually in the Indian Ocean. Therefore, the United States needs to manage China's military rise so that it does not wholly upset the Asian security system. And one of the ways to do that is to encourage Japanese military expansion. But there has always been a problem with Japanese military expansion: it scares the daylights out of other peoples in Asia, especially the nearby South Koreans, who are also U.S. allies. Koreans remain deeply embittered over Japanese cruelties during the occupation from 1910 to 1945. Because of atrocities committed by the racist military regime that governed wartime Japan, Japanese nationalism is still seen around the region as both dangerous and morally repugnant. And this situation is made worse by the fact that, unlike the Germans, the Japanese never really repudiated their behavior during World War II. Thus, the United States has found itself in the uncomfortable position of encouraging the military rise of a state -- albeit a democratic one -- that in many eyes still has to answer for grave moral failings. Here is where universal values crosshatch with geopolitics. At this point it helps to dust off the pages of a book published 20 years ago by the American-European intellectual Ian Buruma: The Wages of Guilt: Memories of War in Germany and Japan. One of the volume's principal themes is that the Japanese have not come to terms with their war guilt precisely because the crimes their government and military committed in the 1930s and 1940s were different from those of Germany. Buruma notes that such horrific acts as the Bataan Death March, the sacking of Manila and the massacres in Singapore have been relatively little discussed in Japan compared to Nazi crimes in Germany. He notes the streak of revisionism that has affected Japanese narrations of the epic war crimes committed against Chinese civilians by Japanese troops in Nanking and Manchuria. There are, too, the visits by politicians, and of the emperor himself, to the Yasukuni Shrine in Tokyo that honors the souls of Japan's war dead, including, among many others, Class-A war criminals who massacred civilians and slave laborers and tortured prisoners of war. Buruma writes, from the vantage point of 1994, words that are still relevant: "The curious thing was that much of what attracted Japanese to Germany before the war -- Prussian authoritarianism, romantic nationalism, pseudo-scientific racialism -- had lingered in Japan while becoming distinctly unfashionable in Germany." While many individual Japanese rejected these ideas after the war, the national narrative remained defiant. But condemning the Japanese is too easy. For, as Buruma painstakingly explains, one chief reason why Japan tried to sweep its war crimes under the rug was because it could: Japan's crimes don't descend to the same circle of Hell as Germany's. Japan had no Auschwitz. Though racist and brutal, Japanese leaders did not minutely plan and largely execute the torturous, industrial elimination of an entire people like the Nazis did to the Jews. "The jargon of Japanese imperialism was racist and overblown, but it did not carry the stench of death camps," Buruma writes. The Tokyo war crimes tribunals were exactly that: tribunals against war criminals, not trials against genocidal planners with absolute, mechanized control, like those at Nuremberg. At any rate, the dropping of the two atomic bombs gave Japan a victim's narrative of its own to displace some of the soul-searching that might otherwise have occurred. The crimes were bad enough to terrify people all around Asia for decades, and Japan's unapologetic stance presented a moral dilemma and a strategic problem for the United States: how to get the Japanese to come to terms with their past, neutralize regional resistance to Japanese military resurgence, and thus lift some of the burden of balancing against China off the United States. Oddly, the problem of history may be solving itself. Fears of China's rise across the region are bringing Japan closer to several of the states it conquered -- even South Korea faces a greater need to get along with Japan under the American aegis. Necessity may eventually grant Japan's military the regional forgiveness -- or at least forgetfulness -- that its diplomatic and economic gestures never could achieve. Robert D. Kaplan is Chief Geopolitical Analyst at Stratfor, a geopolitical analysis firm, and author of the bestselling book The Revenge of Geography. 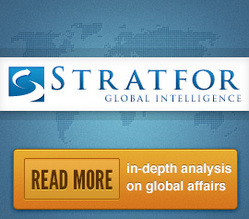 Matt Gertken is East Asia analyst at Stratfor. Reprinted with permission.